In the Gospel for today the people wanted a sign from Jesus. He gave them the sign of Jonah, who spent three days in the belly of the whale and then was saved. 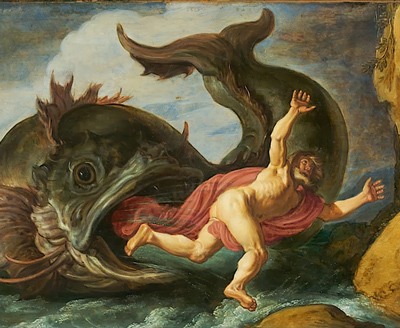 In today’s first reading Jonah is told by God to preach to the people of Nineveh so they would change their ways and become loving and generous people. In the Gospel for today the people wanted a sign from Jesus. He gave them the sign of Jonah, who spent three days in the belly of the whale and then was saved. Last August the people of Texas suffered death, loss, pain, and grief. Then, just like Jesus on Easter Sunday, they were rescued, helped, and raised up from their pain and loss. The people of South Texas experienced new life, new hope. The word of God invites you and me to change, to become more generous, more loving, more giving. We give thanks for all whom Hurricane Harvey made more generous and loving. We thank God for those who will change and become more loving today and tomorrow. Father Thomas “Martín” Deely, C.Ss.R.